I found a trick to actually get MCE to learn the codes. What you have to do is point the remote down to the ground away from MCEs IR reciever, press and hold the button it asks for, raise it up to the reciever's level until it says release, but instead of releasing the button, point it back down to the ground. Only release the button to change numbers when it asks. 1. Stick the IR Transmitter in front of the IR Reciever as shown. 3. Right click on the screen and select settings. 5. Click "Set Up TV Signal" and Click "Yes" if it comes up on the screen. 6. On the Set Up Your TV Signal Screen, "select Next". 7. On the Confirm Your Region Screen, make sure it is set to your region. IF it is, click "Yes", if not, change it. Click "Next". 8. On the Automatic TV Signal Setup Screen, select "I will manually configure my TV signal" and click "Next". 9. On the Select Your TV Signal Screen, select "Cable" and then Next. 10. On the Do You Have a Set-top Box Screen, click "Yes" then Next. 11. On the Prepare for Set-top Box Setup screen, click "Next". 12. On the Select a Working TV Signal, Select the one you have setup (COAX would use Channel 1-4, others self explainatory). 13. On the Set-top Box Remote Screen,Select ""Yes" and then "Next". 14. On the Identify Set-top Box Remote, click "Next". 15. Follow the on screen instructions. When it goes to the Remote Not Recognize Screen, select "Have Media Center learn my remote from scratch" and then "Next". 16. On the Prepare to Identify Remote Screen, hit next. 17. On Channel Change Buttons, select the method used, (on mine I selected "No, it does not". May be different for different areas or future upgrades) and click on "Next". 18. On the IR Learning Screen, Make sure the U-verse remote is set on "AT&T" and hold the remote away from the IR reciever for Media Center. Hold down the number, raise the remote to the receiver until it says "Release button to continue" then move it away from the IR receiver. Keep the button held down. 19. Do this a minimum of two times until it is ready for the next button and repeat step 17. If it takes more than 4 times (one entry try and one confirm try), then make sure the remote is not in the line of site on the receiver until the button is held down for a second and that when held up to the receiver, it is no more than three inches from it. Aparently it sends some type of junk before the actual code is sent (Universal remote thing?). 20. On the Set-top Box Codes Learned Successfully Screen, click on "Next". 21. On the Select Number of Digits Screen, select "Four Digits" and then "Next. 22. On the How Do You Change Channels? Screen, Select the approprate option (Mine was "No, I just enter the channel number"), and click "Next". 23. On the Test Channel Changing Screen, use the Media Center Remote and try changing the channel. Wait about 10 seconds and the channel should change (Give it a little time for the IR signal to travel down the wire to the Set-top Receiver and the TV signal to clear the video capture card buffer to the screen). If successful, select "The set-top box changed the channel correctly", then "Next". 25. On IR Signal Speed Set Screen, Click "Next". Now the down side to it is all MCE will be able to do is change the channels, but for those that want to use their comps as a second DVR, it will do fine. My suggestion though is that if you do that, you would need to set your system clock to what the program guide shows in the Media Center Player because there is a slight delay in the signal from the Video Capture Card buffer. There is also about a seven second delay on channel changes. Not sure if there is a way to speed that up though. Update: I switched to using MediaPortal for my MC because I got tired of that delay when changing channels. WMC apparently has a buffer I can't seem to disable. If you are interested on how I set MP up (It was a pain), PM me and I'll walk you though it. If you know how to disable that annoying buffer in WMC, pm me that also. If your RG is not set correctly and you have a power outage (without a UPS/battery backup for the RG), it could be hours instead of minutes before your RG comes back online (meaning your TVs will be out of service, and possibly your Internet as well). Or if your RG gets replaced, make sure you or the tech does this procedure. Some RGs are not set even after installation. This exercise will save you lots of frustration and time. The Gateway is able to connect using either RJ-11, Coax, or Ethernet. This can lead to some problems where it has a noisy connection and is still trying to automatically select which to connect to. It gives itself a timer of seemingly about 30 seconds to establish a connection across whichever cable it's trying to connect on. After that time has elapsed, if that connection isn't fully established, it will move on to the next cable type, thus cutting itself off mid-handshake with the rest of the AT&T network. This is solved by manually entering what type of cabling your RG is setup with so it looks only to that cable for the connection and won't stop trying until it's back online. Instructions: You'll need the System Password located on the sticker on the side of the RG. It's a random ten-digit number, but may also have been set to just 'password' by the install technician. Look behind your RG. If you see a green telephone line plugged into the back of the RG, you have RJ-11 cabling. If you see a cable plugged into the Ethernet jack labeled Broadband, you most likely have Fiber To The Premise, and are using Ethernet. If you have neither, then your signal is coming in across the coax connection, which may also backfeed and give the video signal to your TVs. Just determine which type you have so we can go from there. Normally if you have all Ethernet, you don't even have to worry about this because FTTP will typically not run into any sort of line noise issues or anything of the sort. Any of these should get you into your Management Display Console (MDC) for the Gateway (RG). //(note, you will want to keep these URLs handy for future reference). Enter your password and it should let you have free roam of the directories. In the upper left, underneath the Broadband Link category, choose Summary. This page will actually confirm what cable type you have, whether it be RJ-11/ Coax/Ethernet (note this page will only be filled in if you're currently online and operational). Click Configure underneath the Broadband Link category and if you're RJ-11 or Coax, enter DSL into the Broadband Type box, then click Update over on the right. This should submit the setting and the page will reload, with DSL filled into the top box for you. Now on the bottom box, choose either RJ-11 or Coax based on your situation, then click on Save. Voila, at this point you're done and you'll be much more resilient to your services going down on you. The first link that you click will probably ask you for your password. If you haven't changed it yet, it will be the one written on the left side (for vertical) or bottom (for horizontal) of your RG. If you don't have an Ethernet cable plugged into the red broadband port on the back of your RG, this is for you. Each time you make a change, the RG may disconnect and reconnect. For numbers 3 and 4, only pick the one that is right for your set up, don't pick one or the other if it isn't how yours is set up. Click here to change the Broadband Type to DSL. Go to this page to find out which option you need to select next. You will want to look at the field that says "DSL Line (Wire Pair):" and remember what it says. If it says RJ-11 for the DSL Line, click here. If it says COAX for the DSL Line, click here. If you do have an Ethernet cable plugged into the red broadband port and the light just below it is lit on the back of your RG, this is for you. THIS IS RE-POSTED HERE COURTESY OF SOMEJOE7777. DO NOT GIVE ME KUDOS HERE, I DID NOT WRITE THIS AND I AM ONLY RE-POSTING IT HERE FOR EASIER REFERENCE. IF YOU WOULD LIKE TO GIVE KUDOS TO SOMEJOE7777 AND READ THE REST OF THIS THREAD YOU MAY DO SO HERE. IF YOU WANT TO GIVE ME KUDOS YOU MAY DO SO HERE. This is a brief introduction to how to use the HDNet test pattern to to two basic calibration adjustments to your TV. The first thing you need to do is record the HDNet test pattern if you haven't done so already. The test pattern airs once a week on HDNet (channel 1105), at 7:30AM ET/4:30 AM PT Saturday mornings. It is 10 minutes long, and is labeled "Off Air" in the program guide. The HDNet test pattern runs 10 minutes, and actually consists of 3 different patterns. The first includes color bars and a brightness scale at the bottom, this is the most important pattern. The second is a convergence pattern, which is pretty useless for most of us, as it only applies to rear-projection CRT TVs. The last one is a sharpness pattern, which we'll use briefly to adjust the sharpness. I have tried to perform adjusments with U-Verse on both HDMI and component settings, and I have successfully calibrated on both, but HDMI has a twist to it. 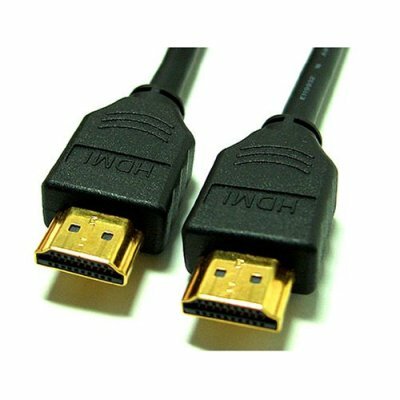 See my next post in this thread for the details regarding HDMI. To summarize, there are some TVs where an extra setting will be required to get a proper calibration on HDMI, and there are some TVs where getting a proper adjustment on HDMI will be impossible. For the easiest calibration, I recommend you use the Component (Y-Pb-Pr) connection. There are some settings on your TV that we need to set first. On most of today's TVs, these settings are independently retained by the TV for each different input. You must do the adjustments with your TV selected to the U-Verse input. This shouldn't be a problem when using the recorded HDNet test pattern, as you'll have to have the U-Verse input selected to see the recording. But I mention this because it would not work properly to switch your TV to a DVD input, adjust it using a DVD with test patterns, and then switch back to the U-Verse input. Also, most TVs nowdays have several "preset" modes available that are variously labeled, such as "Movie", "Cinema", "Standard", "Normal", "Sports", "Vivid", etc. Most of the time, you need to set this to "User" or "Custom" in order to be able to change the base settings. Start with the "Standard" or "Normal" settings, and then switch to "User"/"Custom" to be able to change everything else. Color Temperature: A few TVs do not have this setting, but if yours does, I recommend setting this to "Neutral" or "Medium". This is somewhat a matter of personal preference. "Warm" settings tend towards the color balance used in movies, whereas "Cool" tends towards the color balance used for sports. Automatic Brigtness: Some TVs have an automatic or dynamic brightness setting, variously labeled "Auto Brightness", "Dynamic Brightness", "Energy Saver", "Advanced IRIS", etc. This needs to be turned off. Noise Reduction: Some TVs have settings for noise reduction or MPEG artifact reduction. I recommend you start with these settings turned off, and later turn them on at a low setting to see how they look. With the proper adjustment we're about to do, you may find that you don't need this. Other Settings: If you have any other advanced settings on your TV such as White Balance, Color Space, Black Correction, Gamma, etc, set these to their default settings, or "Off" if it's an On/Off feature. These are the two most important adjustments and the ones we'll be adjusting using the HDNet test pattern. To adjust brightness (may be labeled "black level" on your TV), bring up the brightness adjustment control in your TV menu while viewing the HDNet test pattern 1 (the color bars). At the bottom of the test pattern is a brightness scale consisting of 11 squares that proceed from a bright white square with a "0" in it (the "0" may not be visible) through gray squares, finally ending in a black square with a "10" in it (the "10" may not be visible). Turn your brightness control up/down until the "10" in the black square is just barely visible in a dark room. The "10" should be such that if you were to turn the brightness level down one more notch, the "10" would disappear. To adjust contrast (may be labeled "picture" or "white level" on your TV), bring up the contrast control in your TV menu while viewing the same HDNet test pattern 1 (the color bars) that you used in the brightness step. - The "1" in the second square begins to disappear. - The first white square "blooms" or begins to get larger than the other squares. - The first white square begins to change color from white. DLP TVs in particular will start to color this square pinkish when the contrast gets too high. - Your TV geometry begins to get non-linear, such as when the vertical white bar on the left side of the screen begins to "bow" or show that the line between it and the yellow bar deviates from a straight line. - You cannot see a difference in the white between the first and second squares. (The second square should actually be a very light gray, not pure white). At this point, the contrast is now correctly set. Because the contrast adjustment can affect the brightness adjustment on many TVs, recheck the brightness setting using the black box with the "10" in it. You may need to go back and readjust both the brightness and contrast a few times before you find the right balance. Unfortunately, it is not possible to do proper color adjustments with the HDNet test pattern, because the proper color bars are not next to each other (white has to be next to blue, and magenta has to be next to cyan). If you want to adjust the color and tint, you need to purchase one of the calibration DVDs I talk about below. Fast forward the HDNet test pattern to the 3rd pattern (the sharpness pattern). Sharpness is an adjustment on TVs that emphasizes edges of objects. Unfortunately, this also blurs fine detail. It is advantageous to actually turn your sharpness down or off to avoid this problem. In the sharpness pattern, you will see many fine black lines on a gray background on the set in various places in the pattern. If the sharpness is set too high, there will be white bands that appear in between the black lines, obscuring the gray background. Turn the sharpness down until the white bands go away and the gray background is visible betwen all black lines. This enables your TV to reveal fine detail that is otherwise obscured by the sharpness control. This is applicable only to people who have rear-projection CRT TVs. The second HDNet test pattern is a series of white crosses on a black background. If you have a rear-projection CRT TV, bring up the convergence adjustment (see your TV manual) and adjust the red/green/blue convergence until all the crosses are pure white, with no red or blue fringe visible at the edges of each cross. This is hard to do, because each time you adjust the convergence for a certain part of the screen, this tends to alter the convergence in another part of the screen. You may want to have a professional ISF calibration done by a certified technician if you have a rear-projection CRT TV, as they are notoriously hard to adjust. At this point, you have a fairly well-adjusted TV for U-Verse. You may notice the amount of MPEG compression and noise that is visible now, as the factory-setting modes tend to hide that fine detail. If this is the case and you have a "Noise Reduction" or "MPEG Artifact Reduction" setting, you may try turning it on now. Unfortunately, these settings blur fine detail, defeating the purpose of the adjustment you just did, but you may want to see what they look like nevertheless. If you'd like to perform more advanced adjustments for your TV, there are several options. These calibration DVDs have step-by-step instructions for all adjustments, including color and tint adjustments using the included color filters. They also typically have an audio setup section so that you can verify your surround sound setup. Be aware that if you use one of these to calibrate your TV for U-Verse, you will need to temporarily plug your DVD or Blu-Ray player into the same input you're using for U-Verse so that you're adjusting the correct input. A more expensive option, but one that will give you near ISF-quality calibration is the SpyderTV. This is a hardware colorimeter that uses a laptop and specialized software to adjust the TV. I have one, it works very well. Just a word on cables: I of course recommend you use good cables, as bad ones will cause problems. But component and HDMI cables do NOT have to be expensive. Monoprice.com offers a premium set of component cables for only $10.28, and HDMI 1.3a/Category 2 cables for $4.74. Remember: Friends don't let friends buy Monster. Is there a way to make it so that you can access your PC's videos from your Uverse stb the way that you can your music and photos? Unfortunately, Media Share does not work with videos at this time. For this, you will need a Media Center PC, an XBox running XBox Media Center, or a standalone media extender unit like the Popcorn Hour. Click here to go to the Uverse help site and view the on line codes for the remote.